We woke up to our last morning at the Marshall House and Savannah, Georgia. We got moving and went downstairs to have another fantastic breakfast with quiche and fruit. Awesome! (Yes, I’m frequently guided by my stomach. So what?) Then we headed out for one last morning wander around town before we had to check out, say goodbye and head on our way. 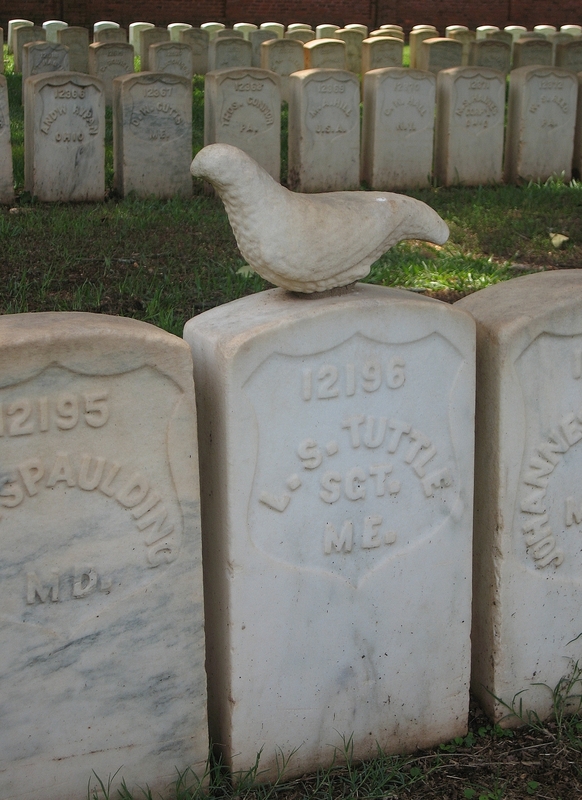 We paid another visit to Colonial Cemetery (I can never get enough of this place!) and we wandered down to get a good photo of the Lucas Theatre. 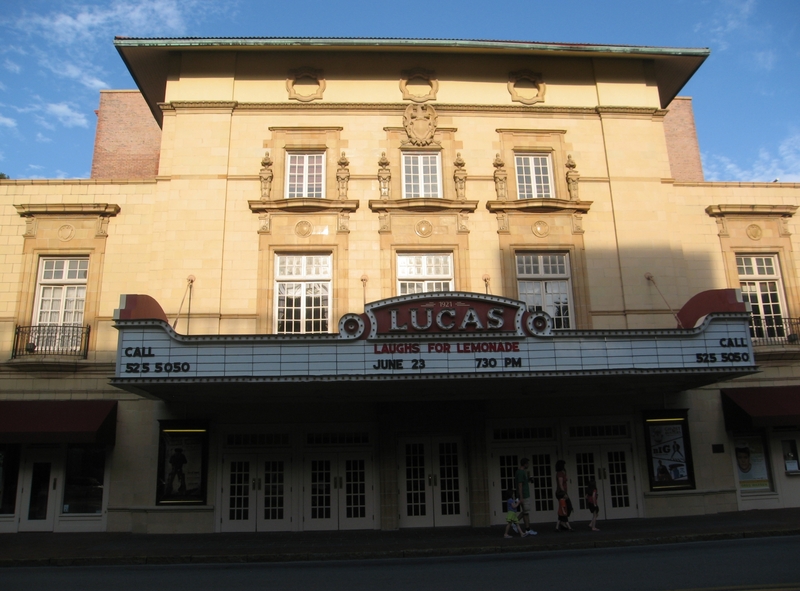 The Lucas Theatre opened as a movie theatre in December 1921 and at the time, was the largest movie screen in Savannah. It holds a special place in my heart though, because the first movie shown there, at the Grand Opening, was the silent film Camille, starring Rudolph Valentino! My namesake! No, not really, as the movie is about a courtesan, but it is a really good film. And the 1936 version starring Greta Garbo is awesome too. Camille is based on the 19th century book La Dame aux camélias by French author Alexandre Dumas’, and the book is also the basis for the more recent film Moulin Rouge (although it diverges quite a bit from the original story). And in case you are wondering why the film is called Camille, when the main character is named Marguerite, Camille was the American name given to the movie, presumably to give a nod to The Lady of Camellias book title. 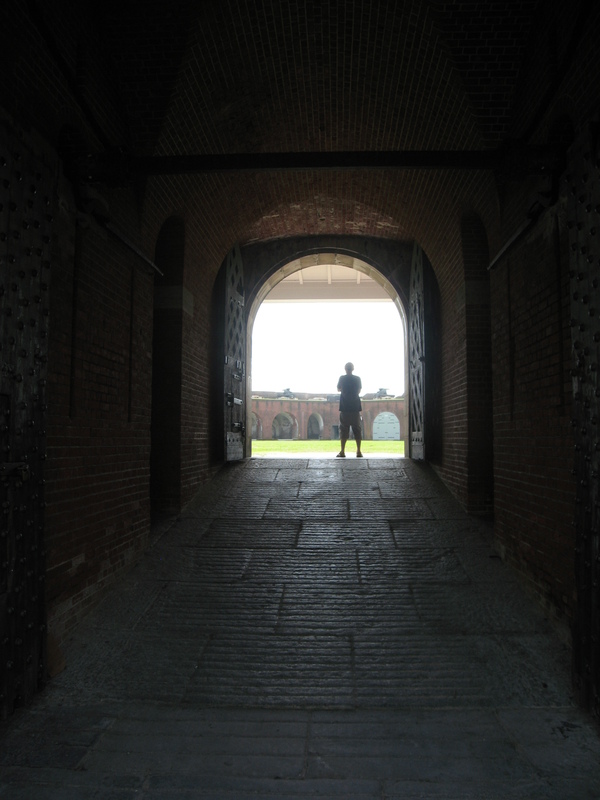 On our way out of town, we decided to see Fort Pulaski, which is a fort outside of Savannah that was built in beginning in 1829 (it was finally finished in 1847). Although it was begun under the direction of another officer, Robert E. Lee was the second officer in charge of construction, and the one who oversaw the completion of the fort. He was a Second Lieutenant at that time in the U.S. Army. 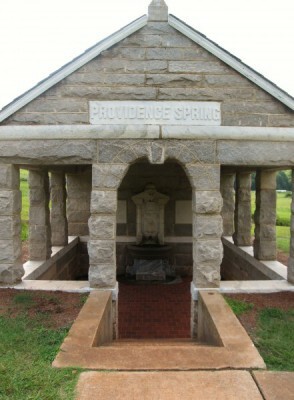 It was built from bricks, both from a nearby Savannah plantation, and from as far away as Baltimore, Maryland. 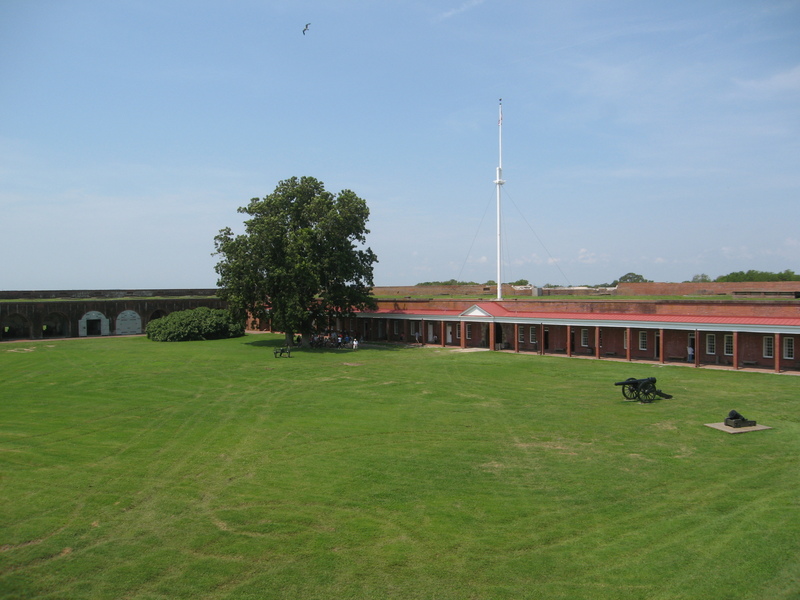 Fort Pulaski is named for Kazimierz Pulaski (known in the U.S. as Casimir Pulaski), who was a Polish cavalry soldier who fought for George Washington during the Revolutionary War. He was a genius at military strategy, learning his trade fighting in battles all across Europe. He trained U.S. troops fighting the British and participated in the sieges of Charleston and Savannah (shout out to my Polish heritage!). 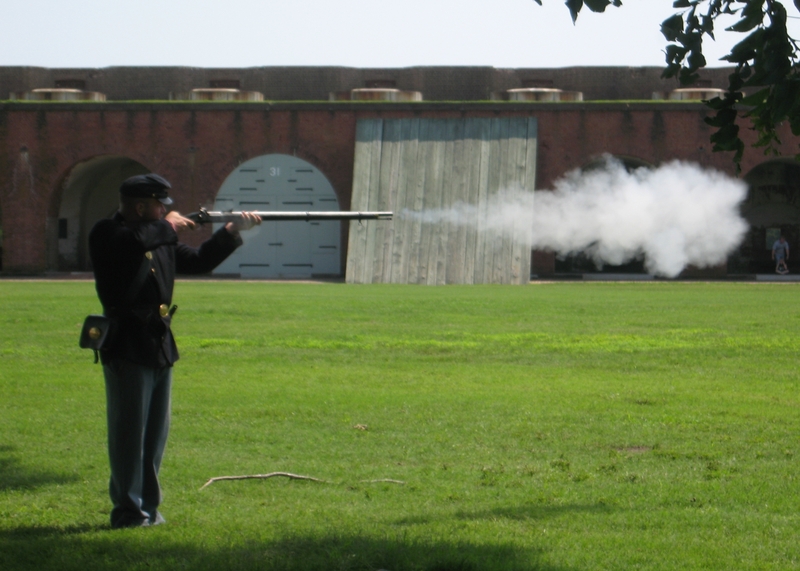 The fort was occupied at the beginning of the Civil War by Georgia troops, but Union troops assaulted Fort Pulaski with rifled cannon (a new innovation that scored the inside of the cannon with grooves to allow heavier cannonballs to travel further and with more accuracy). Union troops spent a period of time constructing sand batteries on distant Tybee Island, where they then placed 36 guns. 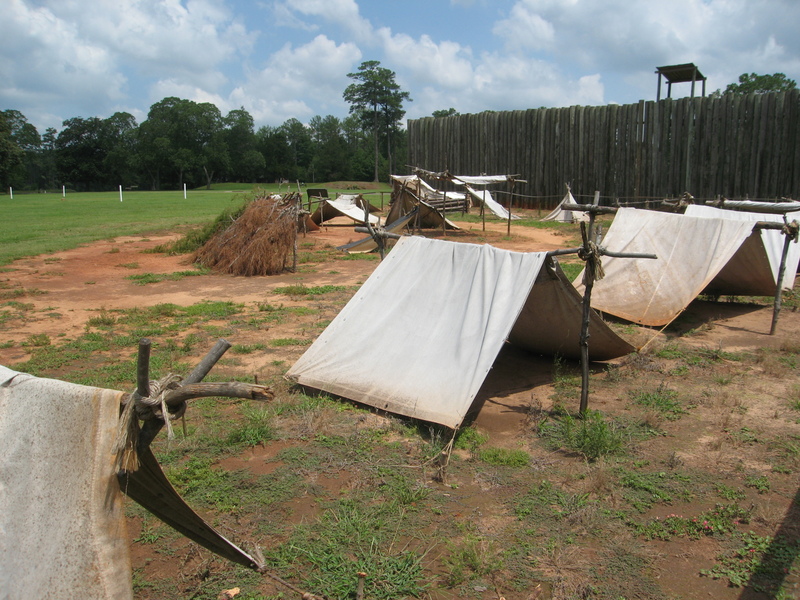 The Confederates knew they were there, but were feeling secure inside the fort. 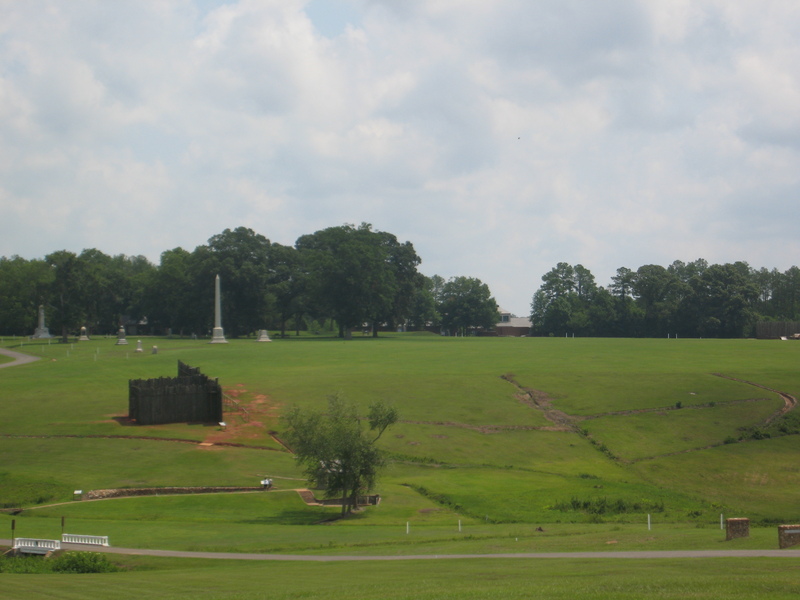 In fact, Robert E. Lee said, “Colonel, they will make it pretty warm for you here with shells, but they cannot breach your walls at that distance.” The 11 foot thick walls of Fort Pulaski were considered to be impenetrable, but after 30 hours of bombardment, the Union cannons had breached one wall of the fort and were shelling dangerously close to the fort’s powder magazine. 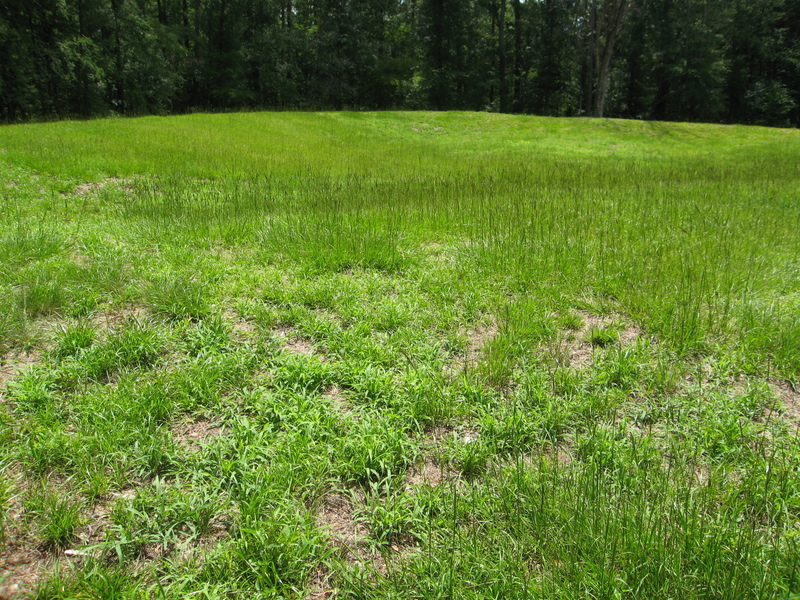 The Confederates surrendered the fort and it was occupied and repaired by Union troops for the remainder of the war, successfully blockading the Savannah River and shutting down commerce in and out of Savannah. 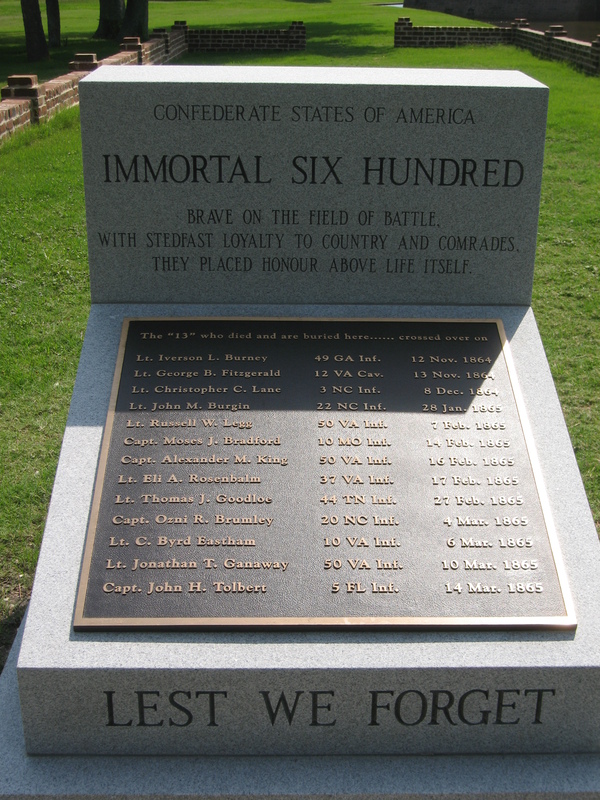 At one point, over 500 Confederate soldiers were imprisoned at the fort, in response to the Confederates placing 600 Union soldiers in the direct line of Union fire in the city of Charleston. 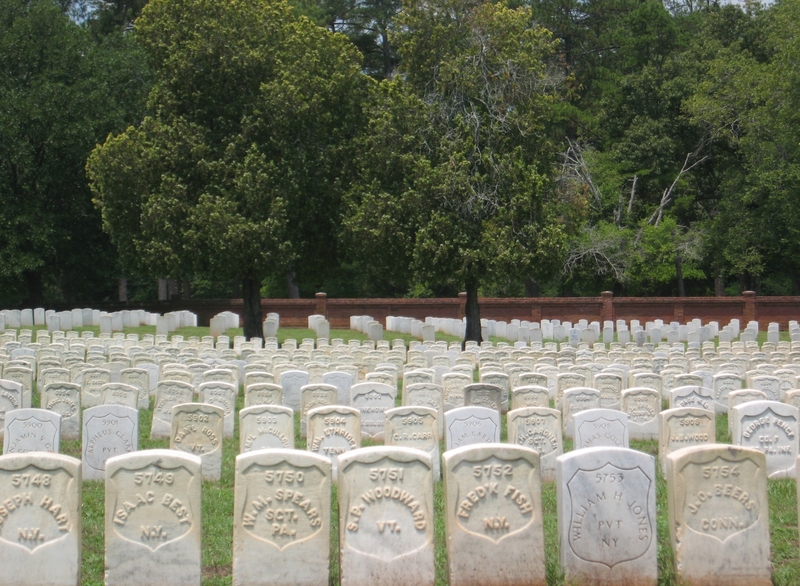 These Confederate soldiers became known as the Immortal 600 – and 13 of them died of starvation and dysentery while imprisoned there. 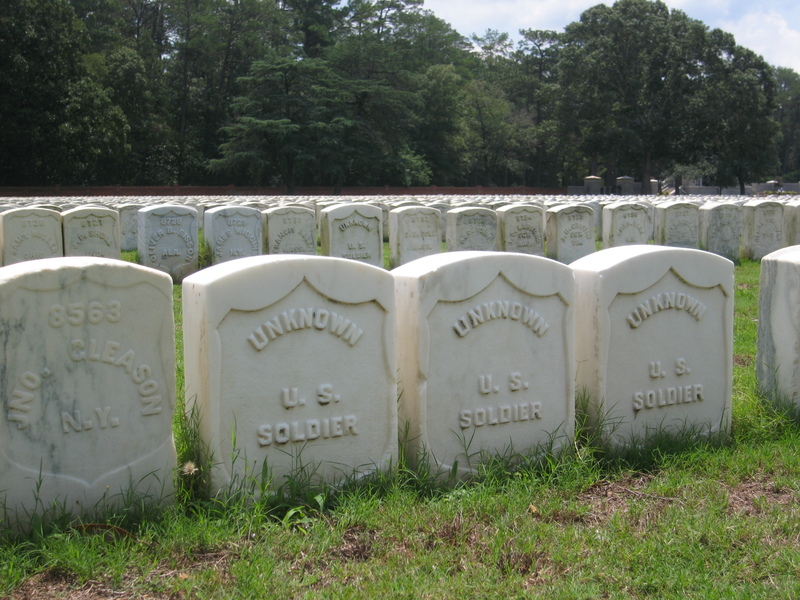 They are buried outside the fort. The fort is now operated by the National Park Service as a National Monument, so I was able to get another stamp for my National Parks Passport! 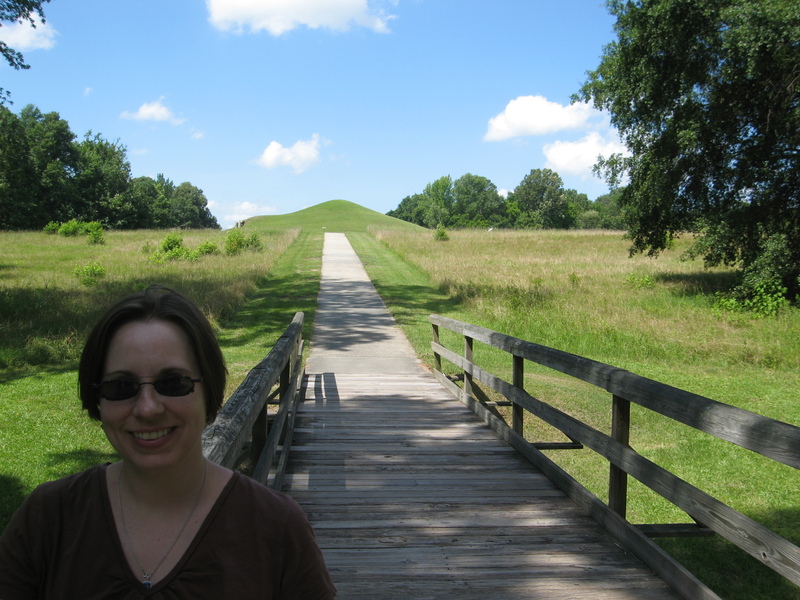 It was an awesome place to spend a couple of hours, checking out the history and enjoying the Southern sunshine. While we were there we got to see a musket firing demonstration (see the smoke in the photo! 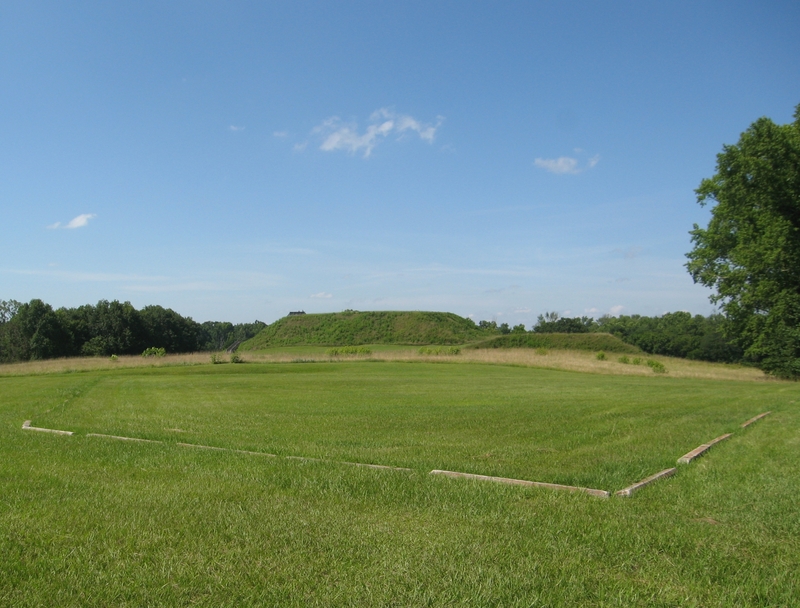 ), and see what it would have been like to live at the fort (I would rather live at Fort Pulaski than Fort Sumter, hands down). I tried to find alligators too, because I saw on the brochure that they live on Cockspur Island around the fort, but I was thwarted again – no alligators were to be seen. Jon and I did take a walk on some of the nature trails, but we headed back when we started getting eaten by mosquitoes! 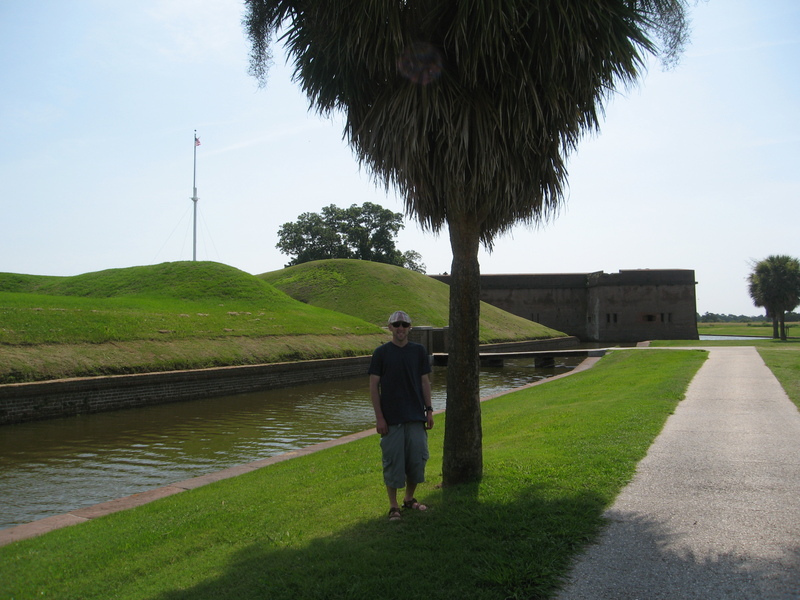 After Fort Pulaski, we headed over to Tybee Island to see what it was like. Tybee Island is a resort island with lots of beach access and seaside fun for the kids. We cruised through and took a look, but since neither Jon nor I are real beach vacation folks, it probably won’t be next on our vacation agenda. 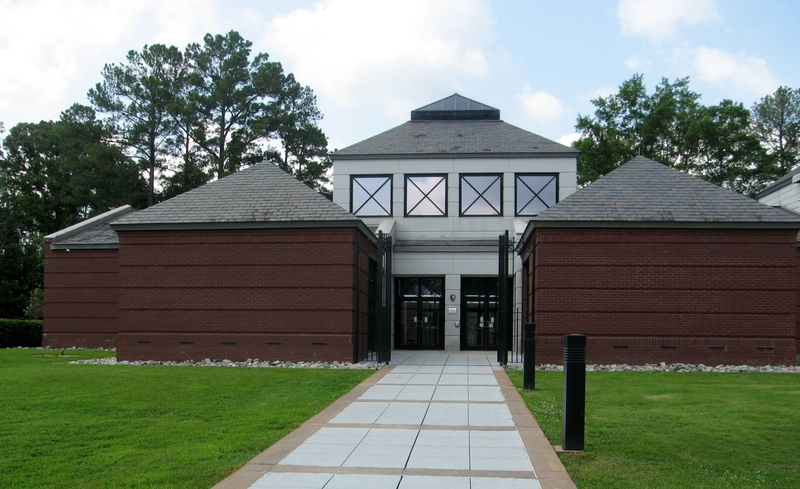 Then, we got back on the road for another long drive to our next destination – Americus, Georgia! 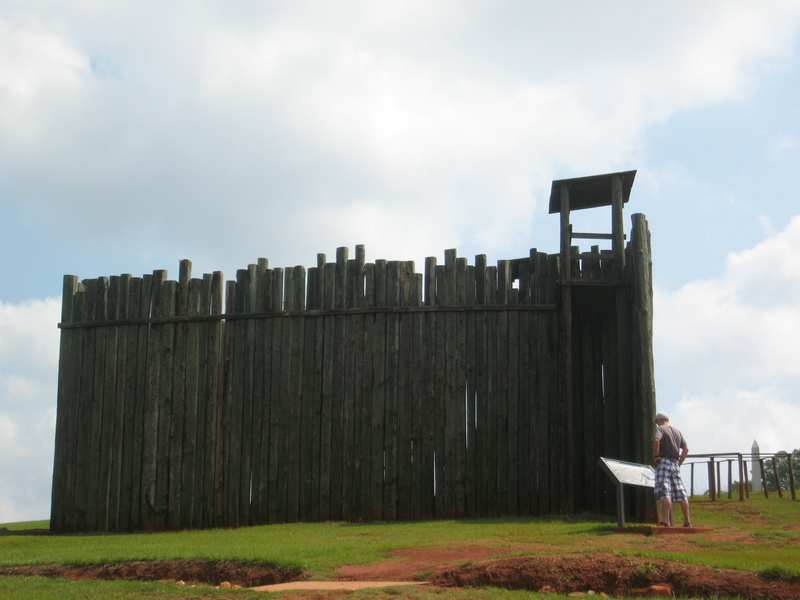 So, I promised I would tell you how much Southerners loved George Washington back in the day. And here’s how the story goes. The Chatham Artillery was a local militia that was formed in 1786. 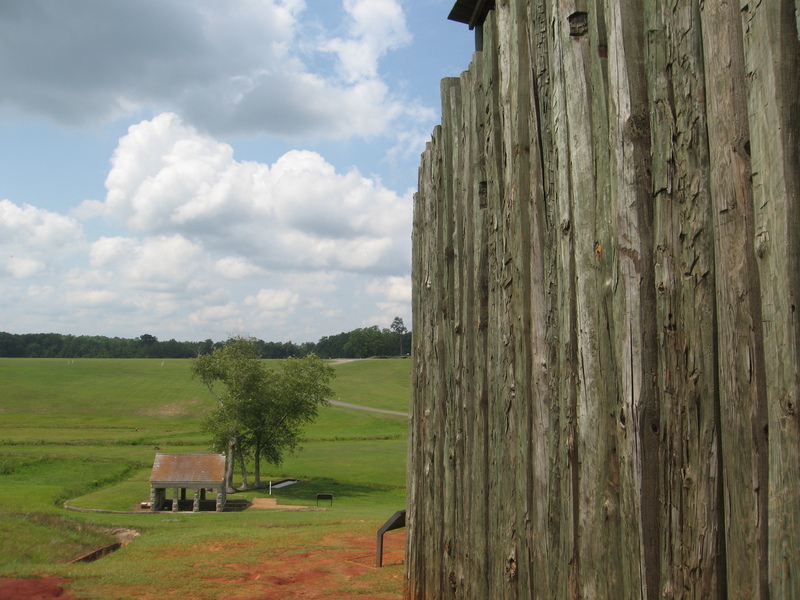 Militia members participated in the Oconee Wars between 1789 and 1793, and George Washington wanted to thank them for that service. He came to Savannah in May of 1791, and during his visit, presented the Chatham Artillery with 2 cannon, one that was captured at Yorktown during the Revolutionary War, and one that was presented as a gift to the young country by France. Mix from thirty-six to forty-eight hours before serving. Add one case of champagne when ready to serve! This punch recipe makes 5 gallons! 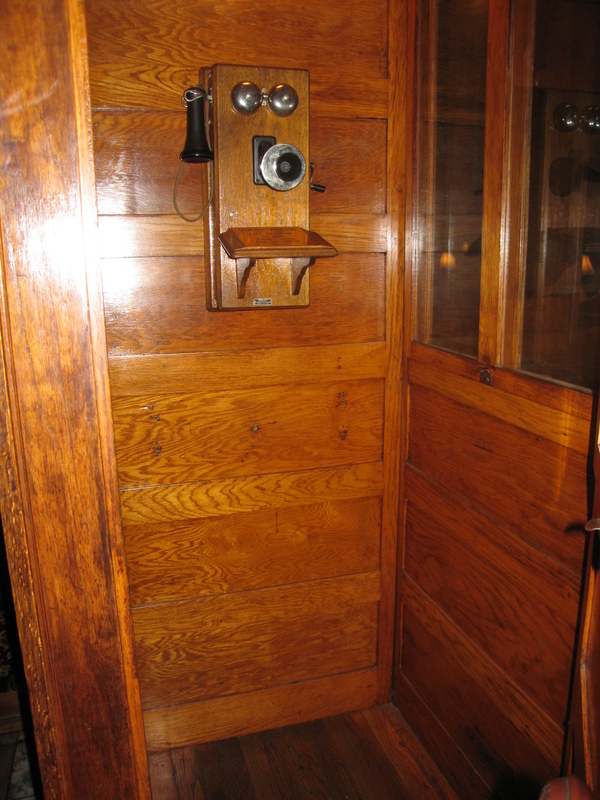 Some sources on the internet say that this punch was dreamed up sometime in the 1850s. Others say this was the punch served during George Washington’s visit. You’ll have to decide. Whatever the answer is – wow! That’s some punch! After our day walking around Savannah, we headed back to the hotel for some R&R and I took a nap for an hour while Jon recharged by reading sports websites on my Kindle. After my nap, which was glorious, by the way (I’m a big fan of naps! ), we got up and had some wine and cheese for a snack at the Marshall House’ wine and cheese social hour (I’m also a big fan of wine and cheese!). We were heading out on our ghost tour at 7:30, so we wanted a snack to hold us over until we found a late dinner. We relaxed and hung out, and then when it got closer to the time, we headed out to find Reynolds Square, where the ghost tour departed. There were Girl Scouts Galore in the Square – kind of a flash mob of girl scouts, only with flirting and giggling instead of singing and dancing (there was a bit of singing and dancing too though!). I’m not really sure why they chose Reynolds Square as their gathering spot, as most of them were not going on the ghost tour, but there they were. An enormous swarming gaggle of hormones. They were only slightly drowned out by the sax player who was playing for tourists in the square, but they kept asking him to play “Star Wars”, so let’s just say it was not romantic. Shortly, our tour headed out (it was a walking tour in case you were wondering) and we were entertained with stories of first cemeteries, Indian burials, hangings and yellow fever outbreaks. It was still light out, and the ghost tour wasn’t scary, but was an interesting overview of the history of the City and what has gone on there since Savannah’s founding in 1733. 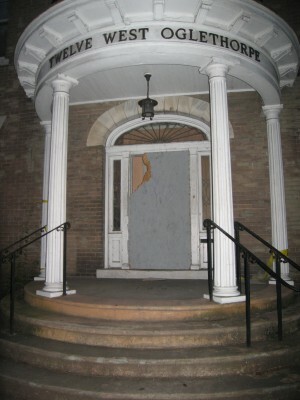 The house on Oglethorpe Street that my mom and I visited on our last ghost tour there in 2004 is still there, still vacant, and sadly, more vandalized. I’m rooting for that home to find an owner – it’s an awesome turn-of-the-last-century townhouse – and the doctor who haunts it can’t be all that bad of a ghostly resident. 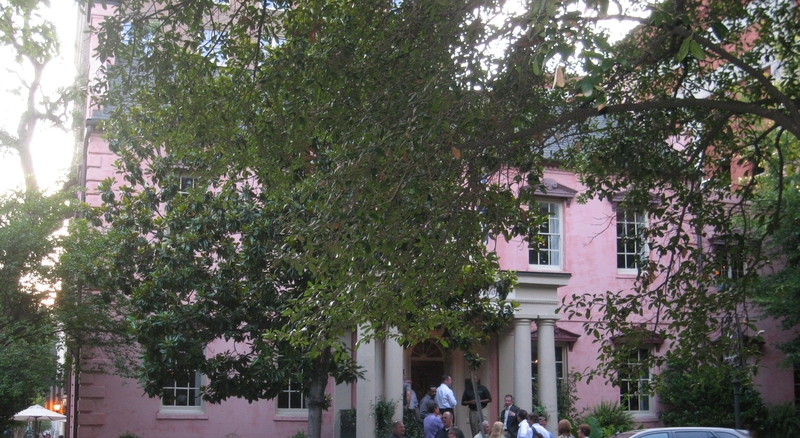 As the story goes, Dr. Brown lived in a former version of this home at 12 W. Oglethorpe (the current home was built about 1900). He moved to Savannah to treat patients of the periodic yellow fever outbreaks, and he set up a hospital in the back of the home. Yellow fever struck Savannah again in 1820, and Dr. Brown tended to the sick in his home – lots of them. 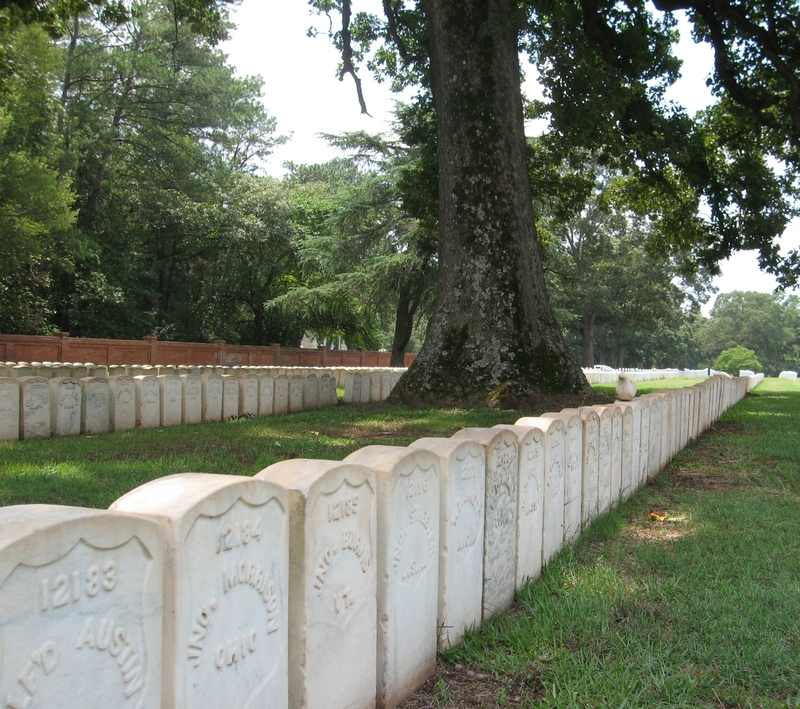 Sadly, his wife and child were both sickened by yellow fever too, and both died. He was so filled with grief that he bricked himself in an upstairs room and slowly starved to death. If you go up to the door and knock and look through the windows, people have seen his ghostly form coming down the stairs. 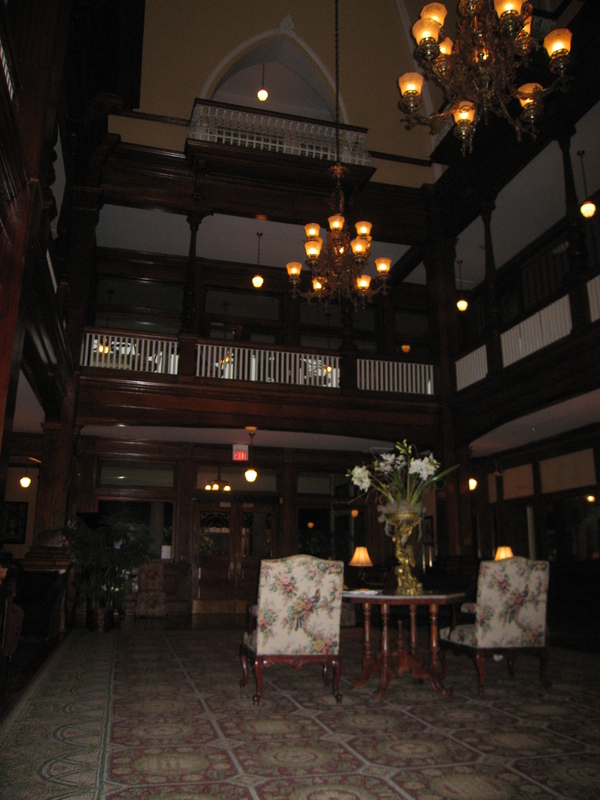 Mysterious orbs have also shown up in photos of the porch and through the windows. Sadly, the home was heavily damaged by fire in 2009, and apparently the upper floors collapsed on top of themselves, so bringing this stately home back from ruin may not be in the cards… I wonder what Dr. Brown would think about that. We also heard about one of the resident ghosts at the Olde Pink House Restaurant, James Habersham Jr. Mr. Habersham had the house built in 1771, but delays occurred and the house wasn’t finished until 1789 – darn that Revolutionary War! It seems that long period of construction allowed the architect and Habersham’s wife to get a little too acquainted, and it is said that their affair was the catalyst for Habersham’s suicide in the basement in 1799. He is said to be a friendly ghost, walking around the house greeting patrons and sometimes sitting at the bar downstairs. 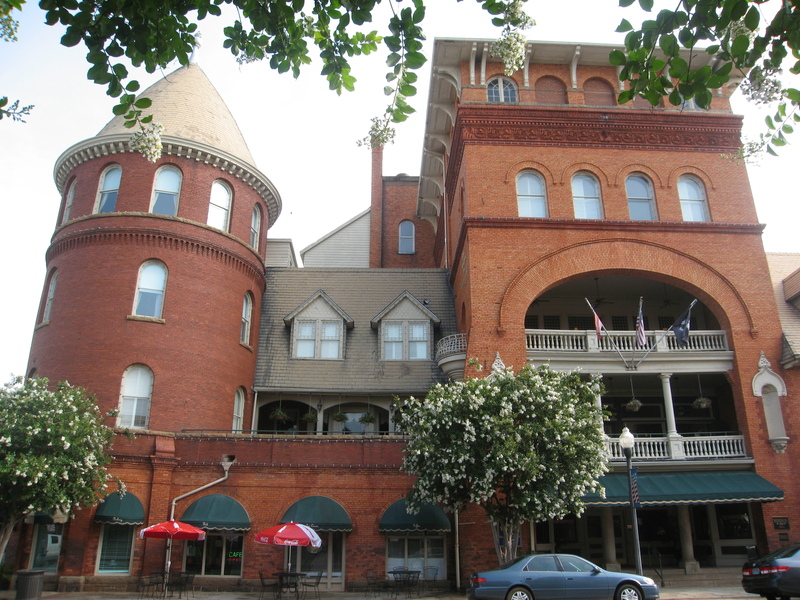 We didn’t make it to the restaurant on our visit, but this is on my list of places to go one day, and not just because of the ghost – the food is supposed to be amazing! 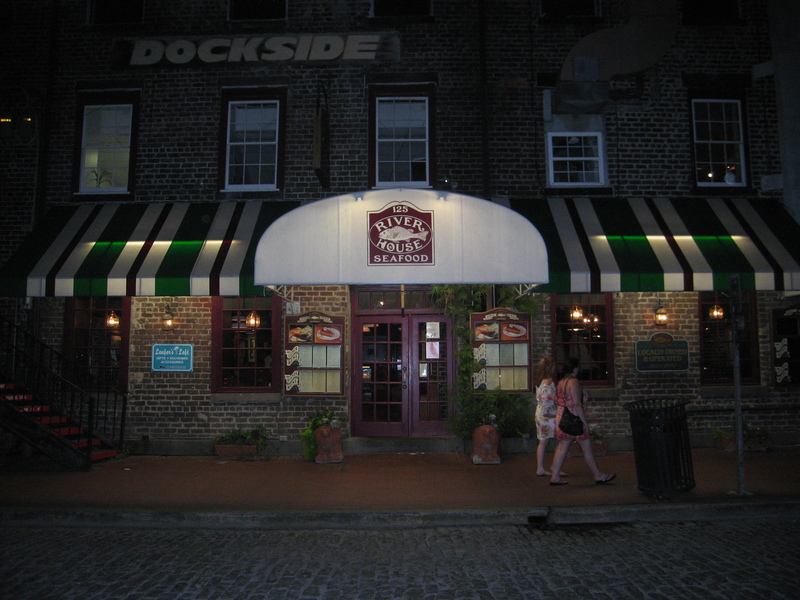 After the ghost tour, Jon and I headed down to the River House restaurant on the riverfront to have a late dinner. I had the lobster crab bisque (which was excellent) and a Regency salad – basically a Caesar salad. It was good and since we were eating so late (it was about 9:30) we didn’t want anything heavy. Jon had the peel and eat shrimp (also very good!) and the same Regency salad. On the placemat, the River House includes some information about George Washington’s visit to Savannah in 1791, and the Chatham Artillery Punch that Savannahians have served for occasions since the 1850s. Boy it would pack a punch (pun intended)! I’ll detail it in an upcoming post, I promise!